The map of the world which Gunam produced was Western pattern, and shows words at the top of it. 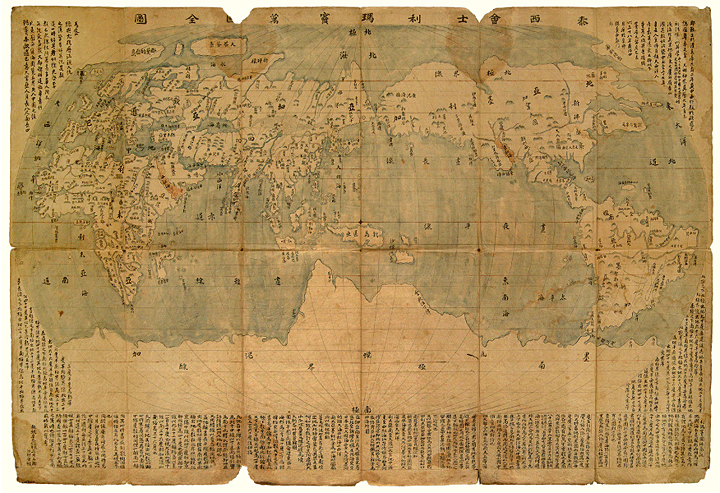 Gunam thought his map was based on the map drawn by missionary Matteo Ricci (whose name can be translated 利瑪竇 in chinese). However, in fact, his map is based on the map from 『Jikbangyoiki』publicated by missionary Giulio Aleni in 1623. The fact that Gunam produced the map of the world is very significant implying that one was willing to set up their status in the world.